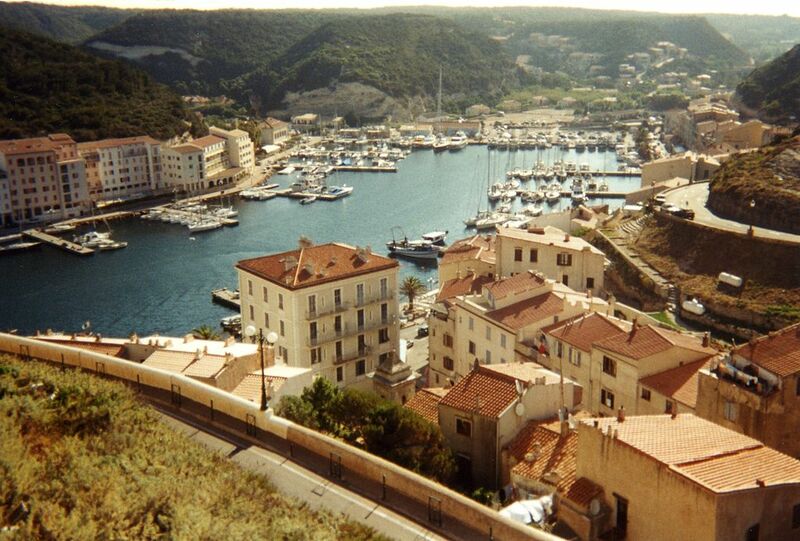 Explore the Beautiful French Island of Corsica! You might not have considered it before but Corsica is a perfect place to practice your French – check out our list of places to visit when you’re there! Bonifacio is located directly on the Mediterranean sea, is the only major harbour on the southern coast, and also covers the Îles Lavezzi, a small outcropping of islands near Sardinia. Much like other European cities, it has an Upper/Old town (Vielle ville or Haute ville in French) where you can find the citadel that overlooks the whole town and the sea.. At night, the citadel is lit up in a way that makes you want to bust out your tripod to capture the beauty and peace of the view. Spend your evenings wandering the narrow cobblestoned streets, ordering beautiful wine and chatting en français with new friends in the making. Entertain yourself during the day by exploring the limestone cliffs, visiting the citadel’s museum, or taking a boat trip to the Îles Lavezzi. Go for a swim, or better yet, go rock climbing or kite surfing at La Tonnara beach. Calvi lies in the North, and is home to quite a few spectacular festivals –the Festival du Vent is one of them. Held in October every year, it is host to a multitude of arts events. There’s cinema, sculpture, paintings –you name it, you can find it there. That, combined with the beauty of the town,and the gorgeous sea view make for an unforgettable trip. Take in the artwork and watch some unique French arthouse cinema while you’re there (often without subtitles, giving your listening skills a thorough workout!). Or if you’re more physical, try some windsurfing or water sports while the festival is in full swing. Another interesting festival to take part in, is the Festival des 3 cultures. It’s held every three years and goes between Calvi, and Ciboure in the Basque country, and Collioure in Catalonia. You can expect to see music, art and street performers while it’s in town (plan for May 2015!). Calvi also has an amazing citadel, and stunning views, though really the whole island is gorgeous, so it’s hard to pick the best view. It’s not so much a city as it is a historical goldmine. If you’re into history at all, this place will astound you. Arrow heads and pottery were found dating back to approximately 3300 BC, and the large stone megalith structures give way to Neolithic structures and finally to Roman settlements. There are quite a few menhirs (French for ‘long stone’) surrounding the site at Filitosa, which have been carved to look vaguely like people with weapons and human faces. One theory for their existence is they were used to ward off an invading group of people called the Torréens, though perhaps even more remarkable is how well preserved these stones are. Get a history lesson en français with a local guide, or pick up some French reading material on Filitosa at the gift shop to give yourself some try unique reading comprehension practice. 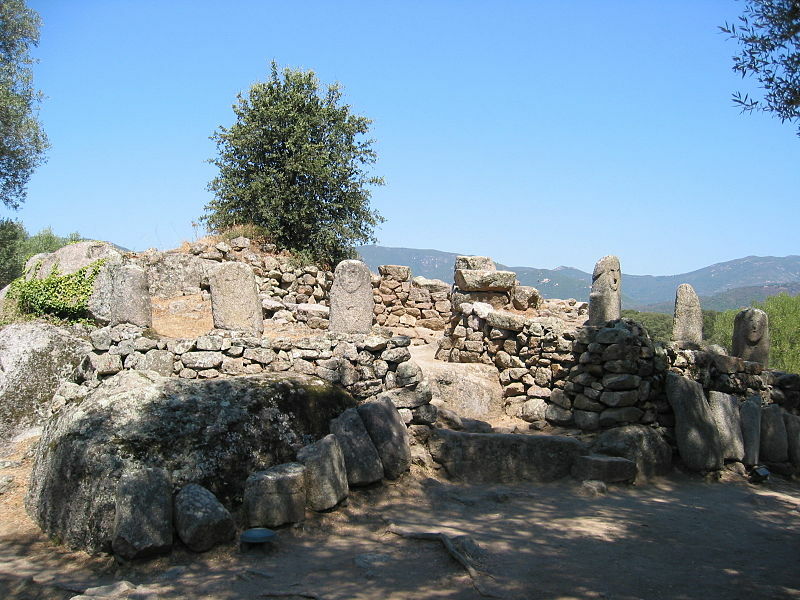 There is a great deal of information and history surrounding Filitosa and you can easily spend a day walking around and exploring this amazing site. With so much beauty, so many places to explore and opportunities to practice your French, why not contact us to see what French courses are available near you before you head to this beautiful part of the world?